Thank you for coming out to our Nooner Yoga series with lululemon! Every Wednesday in July and August at 12:00 PM (noon) take a break from the daily grind and join the rest of Vancouver for a midday flow at Burrard Landing! 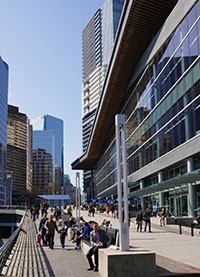 These weekly sessions will take place on Jack Poole Plaza near the Olympic Cauldron. Please arrive ready to practice and early to ensure your spot. Washrooms will be available at the Seawall level. Mara’s yoga journey began in India eighteen years ago and has been sharing her teachings for the past ten years. Yoga has been the most poignant, informative and transformative force in her life. Currently, Mara is the director of Rise Yoga, where she hosts international yoga retreats and teaches corporate wellness as well as yoga and meditation at various studios in Vancouver. Mara currently teaches corporate yoga to such companies as Lululemon, Spence Diamonds and Molson Canadian. Mara also works with athletes and is the yoga instructor for The Vancouver Canucks and The Vancouver Whitecaps. In her yoga teachings, Mara weaves together her background as a dance artist, her practice in the shamanic tradition, and her experience in the Hatha and Vinyasa yoga tradition. She incorporates the elements and rhythms in nature to infuse dynamic flow, grace, strength, stillness and vitality into her practice. Mara believes that the art of yoga can be practiced by anyone and she encourages beginners through to advanced yogi’s to come together to experience the bliss of body-breath-mind integration. 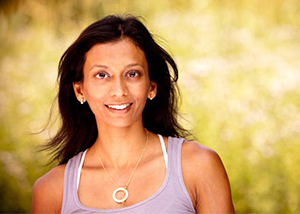 Blissology Yoga Teacher, Ayurvedic Educator and writer, Insiya Rasiwala-Finn grew up in Bombay, India and lives by the ocean between Vancouver, Canada and Bali, Indonesia. Formerly the marketing manager for lululemon athletica, today Insiya writes on holistic health, lifestyle and travel for publications such as Asia Spa, Conde Nast Traveler, LA Yoga, Alignyo and Vitamindaily.com. Insiya has been featured numerous times in Yoga Journal magazine for whom she recently shot a cover, as well as other yoga publications. Insiya teaches intelligent, intuitive and fun Blissology yoga classes that offer her unique east-west perspective, grounding yoga in our contemporary life. She is passionate about the ancient, wisdom science of Ayurveda and its ability to help us create balanced relationships with our body-mind, our communities and our planet — ideas that are the core of Blissology, a movement she helped inspire with her husband, yogi Eoin Finn. She is a recent mum and is currently cultivating a deeper yoga with the time she spends with her young son. You can follow Insiya at YOGUE (yogue.wordpress.com), where she writes about living sustainably and mindfully with style. Insiya is grateful to lululemon for its awesomeness in bringing yoga and health to so many and has been a lululemon ambassador and alumni ambassador for many years. 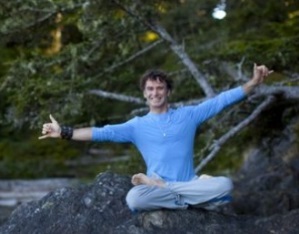 Eoin Finn, (BA, EYRT 500 hrs) is a yogi, surfer and blissologist who teaches his unique, transformative, alignment-based Blissology Yoga all over the world. Eoin is passionate that the nurturing mindset required to practice yoga with sukkha, as well as an intimate connection with nature, is at the foundation to allow us to live our most meaningful life possible. Fusing his passion for athletics and yoga, Eoin has prepared over 100 Olympians as well as pro-athletes from around the world for high-level competition. Eoin’s teaching offers a heart-opening, invigorating and experiential practice, grounded with humor, dynamism and a focus on both physical and energetic alignment, not to mention some great yoga grooves inspired by his love for surfing and the ocean. Yoga, when practiced with this holistic awareness, becomes fluid therapy — movement guided by the innate knowledge of our anatomy and evolution. 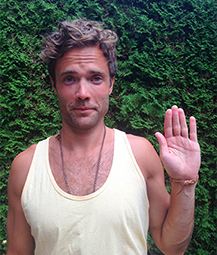 Eoin is one of Canada’s most renowned teachers and one of lululemon’s first ambassadors. He has a line of platinum selling yoga DVDs, teaches sold out workshops and YES (Yoga Ecology Surf) Retreats around the world, and has been featured in InStyle Magazine, Reader’s Digest, Huffington Post, Elle, Flare, Yoga Journal, Vogue Australia, the Globe and Mail and Oprah Magazine. Eoin has studied Eastern and Western philosophy in Canada and France and has been a student of yoga meditation since 1988. He has also studied Karate in Osaka, Japan for many years, a discipline that is infused into the holistic mind body heart experience of Blissology Yoga. He looks forward to welcoming you to a Blissology Yoga class. “love is the ultimate renewable resource” ™ eoin finn. I am a Certified Baptiste Power Vinyasa Yoga Teacher passionate about using the transformative tools in yoga to elevate each and every person to live life big. Since I was introduced to Baptiste Yoga, I have personally experienced a huge shift in my life, one that has allowed me to do something bigger than myself. Through a provoking, compassionate and playful style of teaching, I ask you to dive deep into the sensations of your physical body as well as what makes you tick. It’s all about getting to the real deal within. That’s the good stuff. Power Yoga has taught me that it’s not about the grip and effort — it’s the power in vulnerability that ignites my jets. The courage to be vulnerable makes my heart sing. Through the Baptiste trainings, I was introduced to the Africa Yoga Project which opened my eyes to the power of yoga as a means to bring peace to the world. I am honoured to be an ambassador and team member of AYP with a mission to support a cause that will transform a country in need. I have created the Yoga Jam Events for a Cause fundraising event which elevates spirits, cultivates community and generates abundance both in our community and across the globe. Join me on the mat to expand your life. Free up tension so you can reach out…big! Danielle is the Director of Studio Development for the Chopra Yoga Centers in Vancouver and Toronto and a member of the teacher faculty. She teaches yoga and meditation and co-leads teacher trainings and events throughout North America. She is also one of the featured teachers for My Yoga Online. 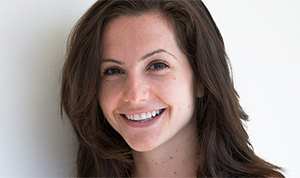 Danielle is a contributing writer for the Huffington Post and My Yoga Online. Danielle is a registered Yoga Teacher and Meditation Teacher (500 hr, Yoga Alliance) with a focus in Ashtanga, Anusara and Iyengar. Her experiences and training also include Yin Yoga, YA Seven Spiritual Laws of Yoga (200hr), Primordial Sound Meditation and Perfect Health (Ayurveda) from the Chopra Center of Wellbeing in Carlsbad, California, and certification with the American Yoga Academy (500hr). In her classes, Danielle integrates yogic philosophy to bring a sense of awareness to your practice both on and off the mat. Danielle is originally from Los Angeles and is an ambassador for Lululemon Athletica. In addition to yoga, she has taught vocal, dance, fitness classes in California, Hawaii and Washington and is certified by the American Counsel on Exercise as a Group Fitness Instructor. Prior to her yoga career, she performed professionally in Broadway shows (Cats, Miss Saigon, Beauty and Beast and The Hunchback of Notre Dame) for six years in Germany. As a child, I was whisked away by the enchantment of dance, dedicating my free time to self-expression through movement. My passion to move led me onto the mat where I continue to explore and play on this great journey we call life. I believe that we can only teach what we are most passionate about, and this will I share with my students. Every day is new, and I want my students to be challenged in new ways every class, whether they have a good laugh, break a sweat or learn a new crazy posture. If my students leave feeling inspired, open and connected through body and mind, I have succeeded. I teach vinyasa flow, power, hatha and kids yoga. I continue to be inspired by my teachers, students and all the wonders that grace me each day. Breathe, play and love. Suzanne’s teachings reveal the celebration of courage and encourage students to dissolve the barriers that keep them from being open and authentic. She invites students to playfully move through a sensitive and ingenious practice in order to cultivate more intimacy with their breath, body, mind and community. Suzanne’s time and heart is also devoted to mentoring and teaching teachers. As a former certified Yoga Works ™ Instructor, Suzanne explored the Iyengar and Ashtanga lineages while living in Los Angeles. She studied the Anusara tradition extensively for the past six years. Suzanne is Co-Founder & Co-Owner of One Yoga for the People in Vancouver and holds a doctorate within Educational and Counselling Psychology. She conducts 200 hour Yoga Alliance Teacher Trainings, teacher mentorship programs and international retreats & workshops. 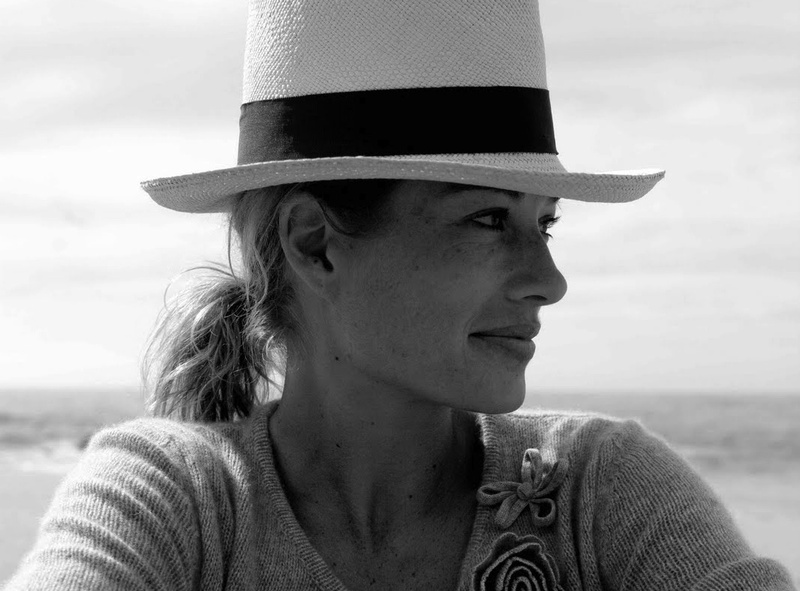 Suzanne is also the Founder of SARA Foundation, a charity organization aimed at yoga for cancer prevention & management. Details can be found on her website, www.suzannefaith.com. Suzanne continues to feed and share her curiosity in life by studying with several highly esteemed scholars and teachers. Suzanne’s heart is primarily captivated and mesmerized by her husband, two children & malamute husky living in Vancouver. Hi my name is Whitney. Yes I know, it’s strange right?! But it’s true, I’m a real boy. Yoga is all about getting weird and stepping out of our conditioned comforts zones, making room for our true selves to be revealed in all their naked glory. Beyond our names, our stories and our habitual patterns of thought, the practice of yoga awakens a deep sense of interconnection to all that surrounds us. Yoga ignites our innate altruistic intelligence, gifting us with the ability to see ourselves in others and see others in us, breaking down the barriers of fear that inhibit our potential to live fully and love wholly. Yoga literally saved my life when in my mid-twenties I found myself drowning in the darkness of my own mind after a knee injury ended my athletic career. This ancient wisdom tradition has healed all aspects of my human experience and it was only fitting that I dedicate my life to honouring the teachings by sharing them with anyone open to receive. I hail from the mighty grasslands of southern Saskatchewan and have called British Columbia my home for the past 8 years, moving from Victoria to Vancity last summer. I have recently become a fiancé, am fiercely in love with this life and have great faith in humanity and the ability of the yoga movement to leave an impression of acceptance and tolerance for the next generation. Thank you for allowing me to be part of your path and for being a part of mine.